All BASE 9 CONDO homes currently listed for sale in Breckenridge as of 04/24/2019 are shown below. You can change the search criteria at any time by pressing the 'Change Search' button below. "TOP FLOOR quiet huge 1,350 SqFt Unit in town with mountain views! Sundrenched with extra windows, vaulted beamed ceilings, full size washer/dryer, and three decks. Entire condo recently updated plus two new hot water heaters. Newly installed hot tub steps from unit. Great location with short walk to Main St, Quicksilver Ski Lift, and the added convenience of bus stop directly in front of condo. Bonus non-conforming den not included in square footage." "Fabulously remodeled from bottom to top! This spacious residence is being sold fully furnished and the updates include granite counters, new carpet, cabinets and paint. Gas fireplace, washer/dryer in the residence, and new complex hot tub in private setting. 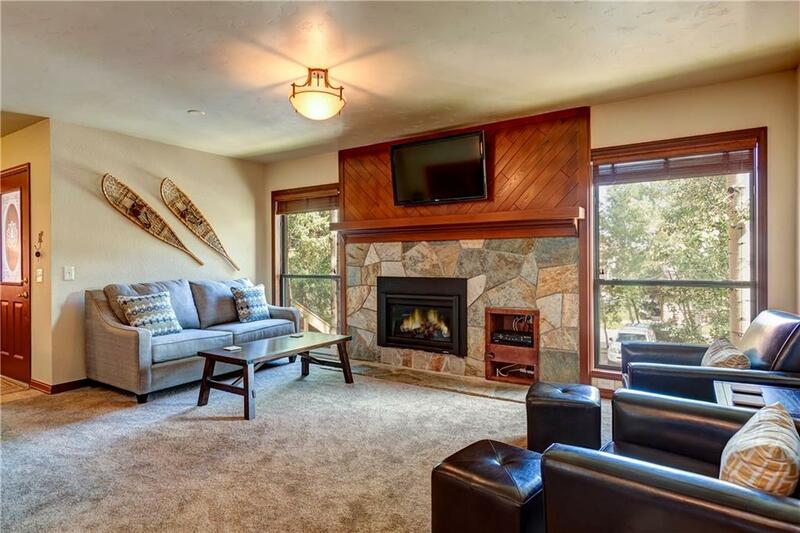 Located on the bus route and just a short walk to the Peak 9 base or downtown Breckenridge, this condo is the perfect weekend retreat or attractive rental property. This turn-key residence is ready for you to enjoy from day one!"